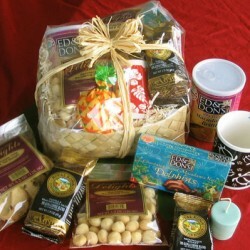 Categories: Hawaiian Gift Baskets, Hawaiian Gifts and Gift Baskets. 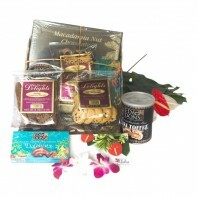 Aloha has many meanings in Hawaii. 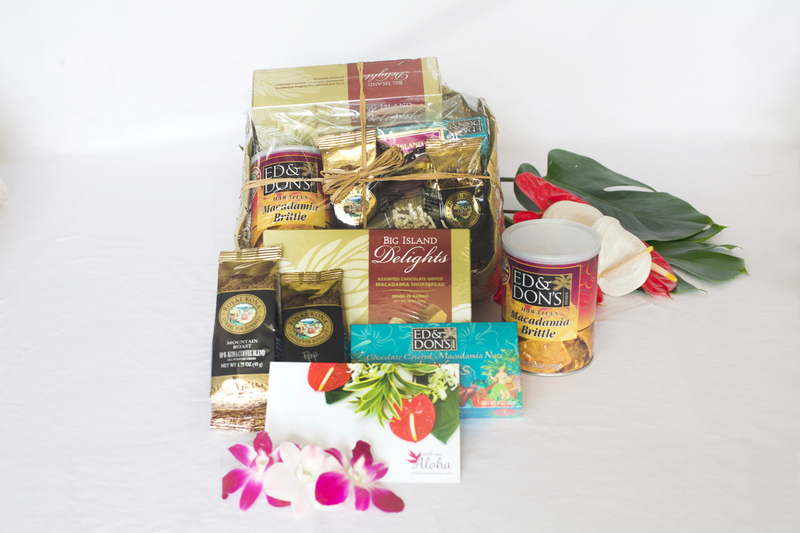 A gift conveys aloha on many occasions. 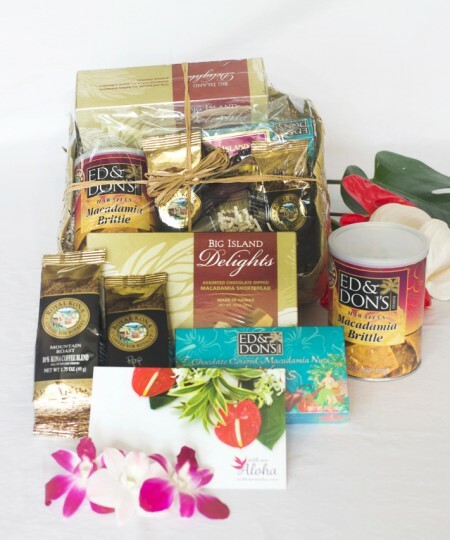 A gift basket from Hawaii makes a simple but thoughtful way to say thank you. 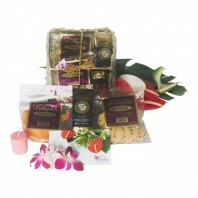 This is a medium sized gift basket with a nice variety of treats. 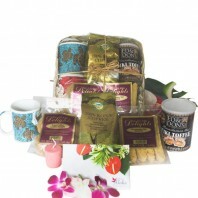 We will send these local gift items anywhere in the US. 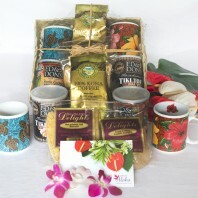 You can select a wrapped lauhala basket or a Hawaiian print gift bag with tissue. 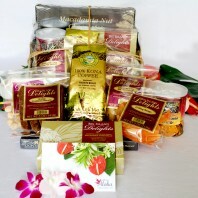 This gift basket is also available for free delivery to hotels in Waikiki.